Whether you are a hunter or a shooting enthusiast, Christmas is right around the corner and for those not on the naughty list, Santa might drop off a new riflescope under your tree. 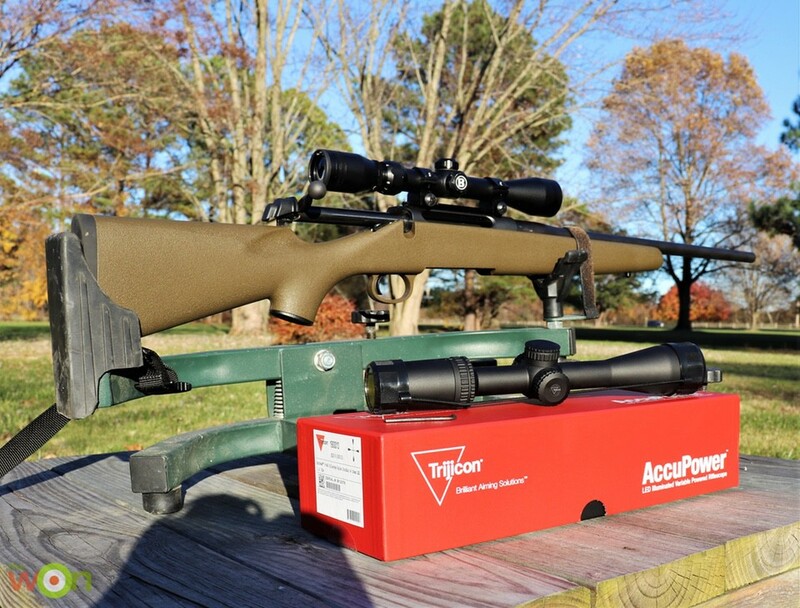 I’m super excited to mount the Trijicon AccuPower 3-9 x 40mm rifle scope on my Remington Model 710. 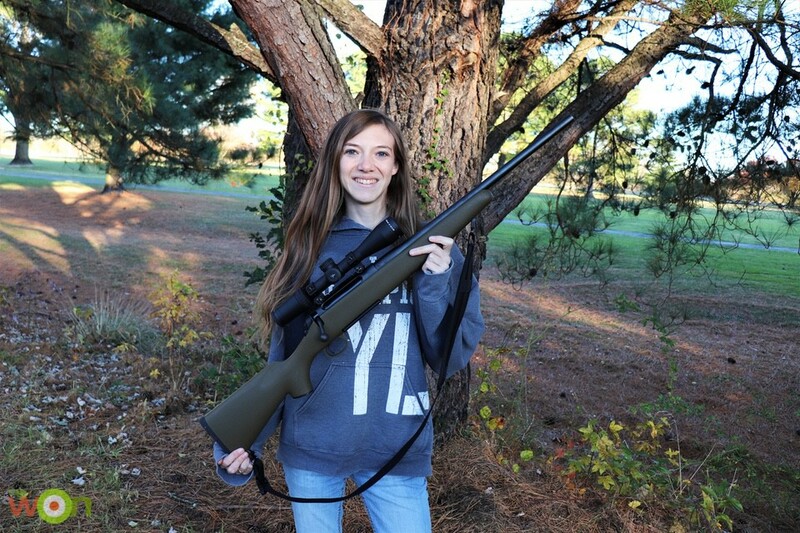 This rifle came with a scope, ready to hunt. However, after some much-needed range time, I wasn’t impressed with the factory scope. I wanted something brighter, something with better clarity, and with a well-defined reticle. Before even stepping foot on the range, I’ve always believed boresighting a rifle is important. Spending just a few minutes doing this, will save plenty of money on ammo since your gun will already be close to sighted in. 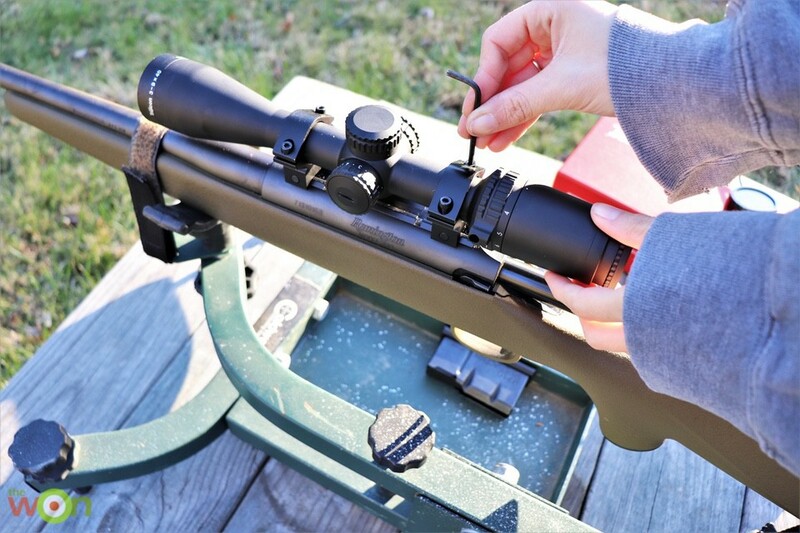 Boresighting a rifle takes just 7 easy steps, and can be done comfortably at home. Before working on your gun, make sure it’s unloaded. It’s a good idea to be doubly sure of this by removing the bolt (if possible) and leaving it out of the gun while you are working on your scope. For this process, you’ll want to have your rifle on a level surface, ideally in a gun vise. Remember no ammo should be in the same room with your gun. 1. If your rifle already has a scope, remove it. Once the old scope is removed, make sure your bases are tightened down. If you’re putting a new set up together, you’ll want to install your bases. Most modern rifles are already drilled and tapped for scope bases or mounts, so the hard part is already done for you. My rifle came with a rail attached to the receiver, so I’m going to explain how to mount a scope to a rail. If you have a long gun drilled and tapped for bases that do not use a rail (Picatinny or Weaver), the mounting method is a little different. Also, if you can find torque specifications for the mounting screws in the bases (and in the rings, too), use a torque wrench to make sure you tighten the screws properly. See the last 5 paragraphs of https://www.brownells.com/aspx/learn/learndetail.aspx?lid=10816 if you can’t find the torque specs for your setup. Quick Tip: I’ve always thought it was a good idea to put some threadlocker on the screws holding the bases down. This will prevent the bases from rattling loose when you shoot your rifle, and save some unneeded stress. 2. Next you’ll want to want to put on the bottom part of the rings. 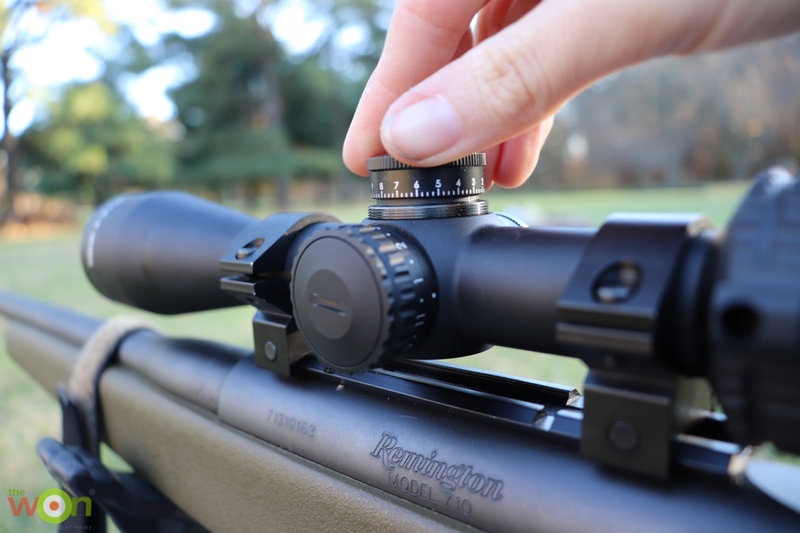 When mounting to a rail, the length of the scope tube will determine how far apart your rings can be. When mounting using separate bases, their attachment points to the gun’s receiver set the ring spacing. Your desired eye relief will determine how far away your scope is from your eye. Once you’ve placed the bottom parts of the rings where you want them, tighten them down. Loose rings will affect your accuracy. 3. It’s time to put your new scope on! Gently set the tube into the rings and put the top half of the rings in place. 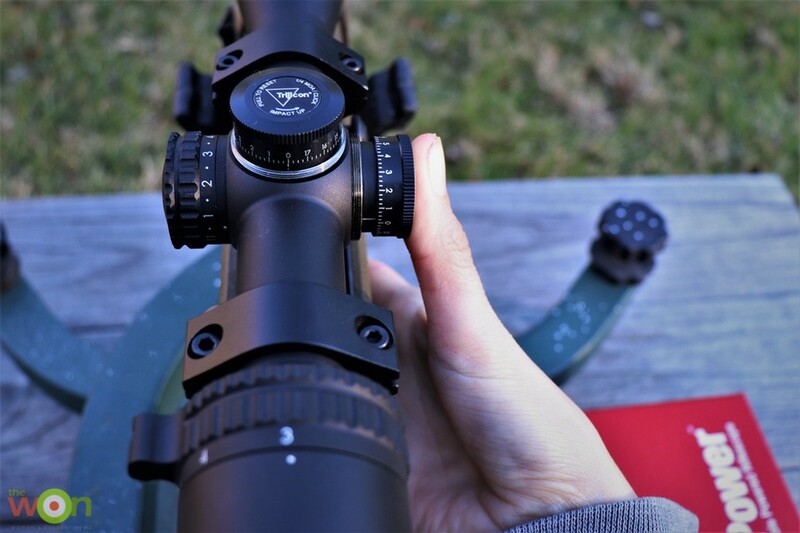 You can start tightening the screws down, but don’t snug them down just yet, because you still need to make sure the scope is level and at the correct eye relief. 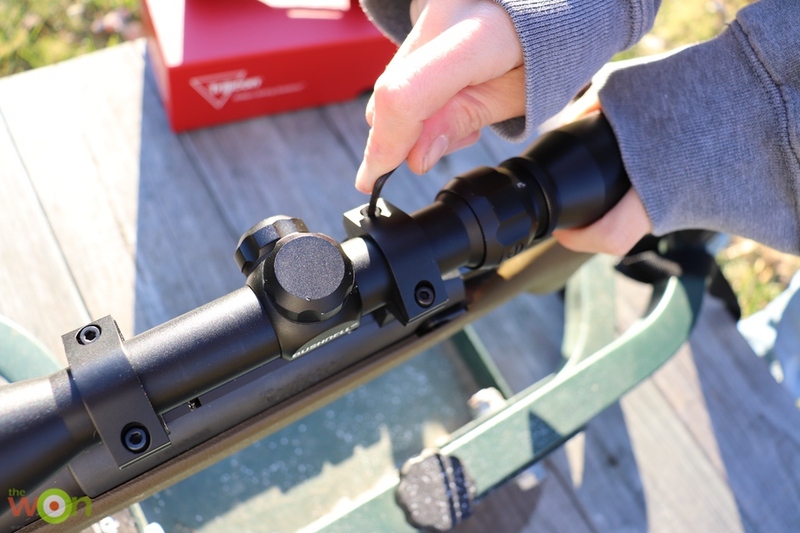 Level the scope by using a scope level (there are lots of different ones available; check online if you don’t already have one and want one) or by carefully shouldering your (unloaded – double-check!) 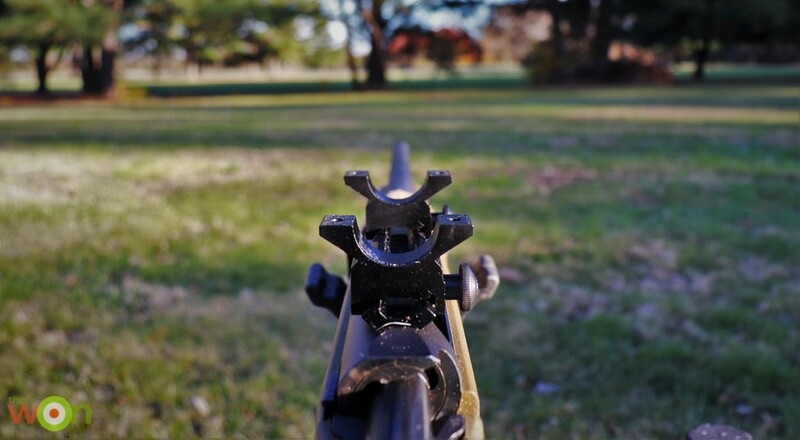 rifle and sighting through the scope at a horizontal or vertical object. Rotate the scope until the corresponding crosshair aligns with the object you chose. This is also a good time to check the scope’s eye relief; while maintaining a cheek weld that is comfortable for you, slide the scope forward and backward in the rings until your view through the scope is at its largest. In other words, if you see a black fuzzy “ring” around your view, slide the scope slightly until the “ring” disappears. 4. Once your scope is level, you can start tightening the ring screws. Tighten the screws in a cross pattern. Take your time to make sure the screws are torqued evenly. 5. You can boresight by picking up a laser boresight tool or boresight collimator for your rifle’s caliber. Or, if you have a rifle like mine that has a removable bolt, you can boresight the old-fashioned way by sighting down the bore (Get it? Boresighting). If you use a laser or the old-fashioned method, be sure to put your gun into a firm rest or a gun vise. For a collimator, follow the instructions that come with it. If you use a laser, after lining the laser dot up with a solid target at about 100 yards, look through your scope and adjust the windage and elevation with the turrets until the crosshair meets up with, and overlaps the laser dot. 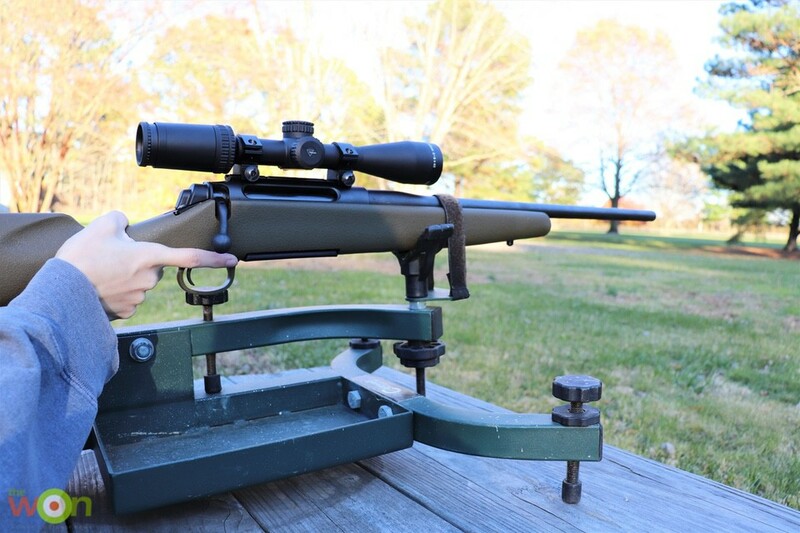 Using the old-fashioned method, sight down the bore of the rifle from the bolt end, line-up the bore with a small object about 100 yards away, and without moving the rifle adjust the crosshairs until they point at the small object. This is easy to do if you are at the range and have a solid gun rest. 6. Once the gun is boresighted, you can reset the turrets to 0. One at a time, pull the turret out and turn it until the 0 matches up with the hashmark. Once the 0 is lined up, push the turret back in. This feature is amazing and allows you to adjust windage and elevation for whatever life throws at you, but allows you to always return to your original settings without much headache. 7. Time to shoot! The best way to make sure your scope is dialed in is to make a trip to the range. You don’t know exactly how well you zeroed your gun until you shoot and fine tune your windage and elevation turrets. Don’t forget that, the Trijicon AccuPower turrets can be reset to 0, which holds your setting and allows for more adjustable shots. Before you go, I want to share some of the features of Trijicon AccuPower 3-9 x 40mm scope. The first of which I’ve already discussed. The turrets that adjust for windage and elevation are easy to use. They don’t take much force to turn and you can reset 0 so you can adjust for each shot instead of having to guess where to adjust the crosshairs. Another great feature about this scope is the illuminated reticle. This particular model can have either a red or green reticle. Both have adjustable brightness and can be incredibly bright. The model I installed on my Model 710 has a green reticle, which I seem to be able to see better in low light. The image is crystal clear even when zoomed all the way in. So whether you are a hunter, a competitive shooter, or just shoot for fun, you can follow these easy steps to boresight your new scope. Get out there and remember to have fun! You can boresight so closer than you think. 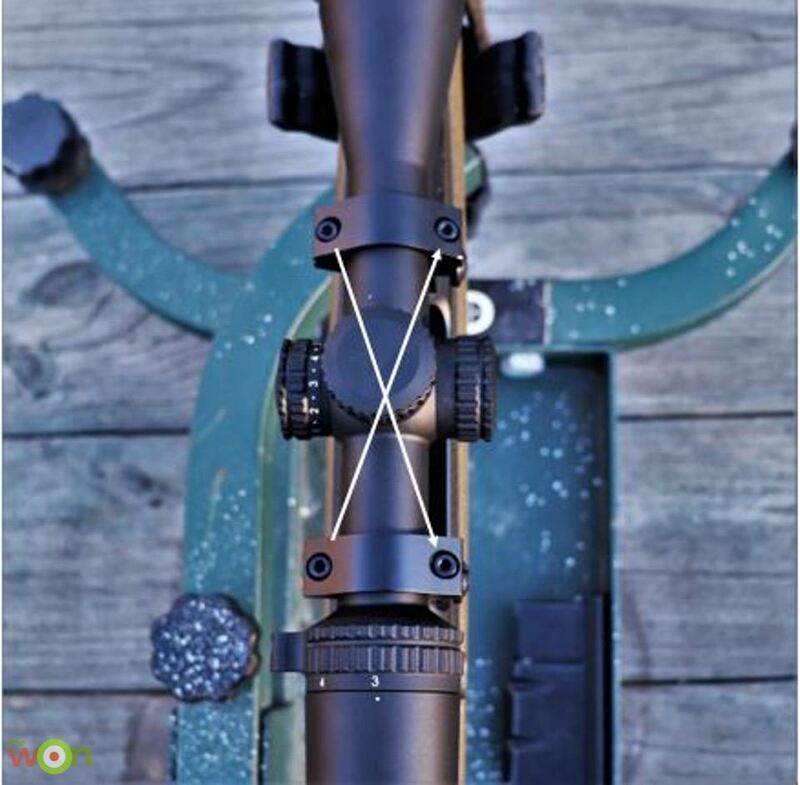 Here’s how, using a rest that keeps your rifle steady: Pick out a vertical line (fencepost, tree, power pole, etc.) at 100 yards or so, and line up the reflection on the bottom of the bore. Turn your windage adjustment so it is on your vertical line. Check your reflection again and make sure that is right down your barrel. Now, turn the rifle on its side and line up on your mark so the reflection comes right down the barrel again. Look through your scope and adjust the elevation so it coincides. Now, check your reflection again and pause to think. Your elevation crosshairs will be looking downward through a straight line extending from your bore. The bullets will be curving downward, making your hits a bit low. Turn your elevation up a minute or two, depending on caliber and the distance to the boresighting target. Cap your turrets and go to the range. You will be very close. This method works with a clean, bright bore.